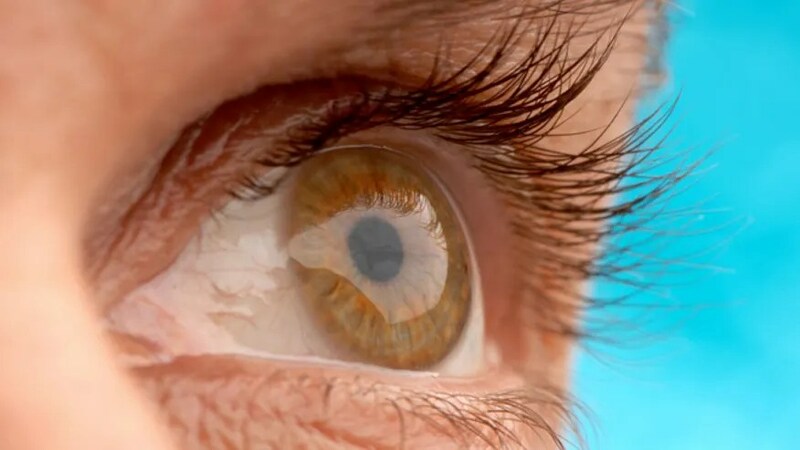 “Boston researchers have successfully regrown human corneal tissue – a feat that could potentially restore vision in the blind. Researchers recently made great strides in the field of regrowing human tissue– this time regrowing a human cornea using adult stem cells. This is an amazing feat. They discovered that not only is it possible to regrow a cornea using cells from the functioning eye of someone who is blind in only one eye, but they can also transplant cells from a donor and regrow that way. They tested all this on mice, but used human adult stem cells. This is pretty darn cool. And why is this possible now? Well the original hold up was their inability to harvest a specific molecule called ABCB5, which is necessary when growing corneal tissue. These researchers discovered that a high concentration of these molecules can be found in the eyes limbus (basically the white part of your eye), which in hindsight makes perfect sense. Unfortunately these cells die when the eye goes blind, but people suffering from blindness have one good eye full of these little miracle-workers. And those with blindness in both eyes can receive a transplant, though they may need immune-suppression. Remember in the final scene of every episode of Benny Hill where he does something really scandalous and then gets chased by the entire cast around and around in circles? Turns out, Benny Hill is ALIVE AND WELL and advising Britain on their medical protocols! So on top of wasting time chasing a cure with no prior history of success and huge negative side effects, thy are running right past a treatment with a huge history of success and safety and trials. So cue up the cameras, get everyone in costume and let’s start that famous music going as everyone chases embryonic stem cell treatments around and around. Wait! STOP! Hold it! CUT! How on earth can we explain the entire medical community and government running right past what already works? Got it! Give them all blindfolds! That way they can be assured to miss the forest but they will hit every damn tree in it and so will the patients, patiently waiting for treatments which will never come! JAMES WOODCOCK/Gazette Staff – Kaile Milton plays with her 14-month-old daughter, Skylie. Skylie recently had stem cell surgery in China to correct blindness caused by septo-optic dysplasia. Skylie and her family spent 28 days in China for her treatment. Skylie Milton’s grandma held out a cracker while standing on the other side of the room. “Come on, Skylie, come get a cracker,” she said. The 14-month-old Billings girl whipped her head around, smiled from ear to ear and hobbled across the living room toward the snack. Once Skylie got within its grasp, she reached out, took the cracker and brought it to her mouth. It’s something she couldn’t have done just a few months ago when she could see only about a foot away. Thanks to stem cell research, and $40,000 raised by the community to send Skylie to China for stem cell injections, the giggling girl can now see just beyond 25 feet. “It’s just amazing, it’s awesome,” said Skylie’s mom, Kaile Milton. Lying beside Skylie on the floor as she played with blocks, Milton still seemed to not believe her girl could see. The doctors in China shared her amazement, Milton said. Because the type of stem cell therapy the family settled on is considered experimental in the United States, the family had trouble finding a doctor in the area who would support them. It was further research that led them to China. Skylie received seven stem cell injections geared toward improving the her eyesight. Skylie was born missing her septum pellucidum, the part of the brain that separates the right and left hemispheres. Without it, her optic nerves never fully developed, diminishing her eyesight. In addition, doctors determined that Skylie suffers from septo-optic dysplasia, which affects both her eyesight and the hormones related to the pituitary gland. It affects about 1 in 10,000 births, according to the National Library of Medicine. To improve their daughter’s eyesight, the Miltons settled on stem cell injections and then looked to the community for help. The response was overwhelming. The person who stands out the most to Milton’s mind is Dana Lariviere of Billings, who volunteered to head a fundraiser that helped raise more than $11,000. “We wouldn’t have made the trip without them all,” Milton said. The family was able to stay in a room at the hospital, putting them close to Skylie during her 28 days abroad. Most of the injections were given through her arm, though a few had to be given through her head. To help soothe the child, the doctors would sing her “Old MacDonald” — in Chinese. When she wasn’t receiving an injection, Skylie was undergoing rehabilitation treatments to help keep her blood flowing and the stem cells stimulated, including acupressure, electrical stimulation, walking training and cup therapy five times a week. To continue her progress, Milton said they make sure to massage around her eyes and her head. It’s unknown whether Skylie will need additional stem cell injections through the procedure, which is not available in the United States. During Skylie’s treatment, the Miltons met two other couples going through the same procedure, both from the United States. When they weren’t waiting in the hospital, the group was able to go into the city and take in the culture. It was quite a shock, especially seeing strangers’ adoration for Skylie. “We couldn’t even go to the store, it would take an hour to get down the aisle,” said Rel, the grandmother. “People were taking pictures with her. Suffering from jet lag and exhausted from the daily procedures, the family mostly stuck to the hotel, watching movies and having pizza — and McDonalds — delivered to the room. Skylie came home on Aug. 1, and not a moment too soon. The last few weeks of treatment were miserable. It wasn’t because of the injections. Skylie was teething. Now when she is fussy, all Milton has to do is start counting, holding up her fingers for her daughter to see. Her crying calms down and changes to laughter as she starts clapping her hands, gets up and moves on to her next adventure. This video shows the Health Minister of Scotland discussing current stem clinical trials in Scotland for stroke and for eye repair. It’s significant that they are in the stem cell game. One more country recognizing the power of stem cells. 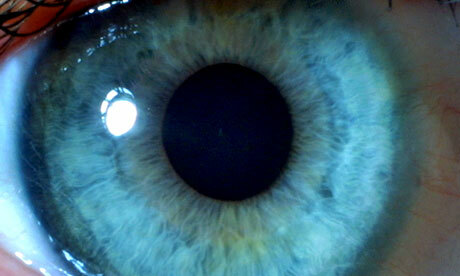 Permanent restoration of a transparent, renewing corneal epithelium was attained in 76.6% of eyes. Restored eyes remained stable over time, with up to 10 years of follow-up (mean, 2.91±1.99; median, 1.93). Cultures in which p63-bright cells constituted more than 3% of the total number of clonogenic cells were associated with successful transplantation in 78% of patients. Figure 3. Regeneration of a Functional Corneal Epithelium and Restoration of Visual Acuity. Panel A shows the left eye of Patient 93 (see Table 1 in the Supplementary Appendix, available with the full text of this article at NEJM.org), who had total limbal stem-cell deficiency due to an acid burn (image at left). His visual acuity was reduced to counting fingers. A graft of autologous limbal cultures was sufficient to regenerate functional corneal epithelium (image at right) and to restore normal vision (visual acuity, 0.7), since the eye had no stromal scarring. Panel B shows the eyes of Patients 22, 26, and 46 (see Table 1 in the Supplementary Appendix), which were damaged by alkali burns and were treated with unsuccessful surgery 13, 30, and 3 years before admission, respectively. All three eyes had total limbal stem-cell deficiency, complete corneal opacification, and stromal scarring (images at left). Vision was reduced to counting fingers (in Patient 22) or perceiving hand movements (in Patients 26 and 46). In all three patients, autologous limbal stem-cell cultures successfully regenerated functional corneal epithelium. To improve their visual acuity after grafting, the patients underwent penetrating keratoplasty. In all three eyes, the engrafted limbal stem cells resurfaced the donor stroma. At the last follow-up visits (at 6, 6.5, and 4 years, respectively), all eyes were covered by stable corneal epithelium (images at right). The keratoplasty resulted in complete restoration of visual acuity in Patients 22 and 46 (0.9 and 0.8, respectively). The visual acuity of Patient 26 increased to only 0.3 because of a concomitant amblyopia (the alkali burn had occurred 30 years before admission). In Patient 46, the follow-up image shows that the conjunctival vessels stop at the conjunctival–corneal boundary (arrowheads); they do not invade the restored corneal surface. Figure 1. Kaplan–Meier Estimates of Grafted Limbal Stem-Cell Survival. Panel A shows the survival estimates for the cultures after one graft was placed, with partial or total success attained in 68.2% of the eyes treated. Panel B shows survival estimates after a second graft was placed in 11 eyes (a total of 12 additional grafts, since 1 eye was regrafted twice), indicating either partial success or failure. After regrafting, 9 of these eyes regenerated normal epithelium. Thus, the final clinical outcome was deemed a success in 76.6% of the eyes treated. All failures occurred within the first year after grafting, whereas successful cultures remained stable for up to 10 years of follow-up. The tissue was drawn from the limbus, an area at the junction of the cornea and white part of the eye. It was grown on a fibrous tissue, then layered onto the damaged eyes. The cells grew into healthy corneal tissue, transforming disfigured, opaque eyes into functioning ones with normal appearance and color, said researchers led by Graziella Pellegrini of the University of Modena’s Center for Regenerative Medicine. The stem-cell treatment restored sight to more than three- quarters of the 112 patients treated, Pellegrini said yesterday in a presentation at the International Society for Stem Cell Research meeting. She estimated the work may benefit 1,000 to 2,000 patients in Europe whose eyes have been damaged by chemical burns and many more in developing countries where the use of chemicals is less regulated. Her patients were followed for an average of three years and some for as long as a decade…..
via Stem Cells From Own Eyes Restore Vision to Blinded Patients, Study Shows – Bloomberg. LA JOLLA, Calif.–(BUSINESS WIRE)–The Ray Romano and Kevin James Celebrity Golf Classic will be held on Monday, November 16, 2009 at the El Caballero Country Club in Tarzana, California. This year’s golf classic will benefit the advancement in vision science at The Scripps Research Institute in La Jolla, California. The celebrity tournament is an annual event hosted by television and film stars Ray Romano (Everybody Loves Raymond, Ice Age) and Kevin James (The King of Queens, Paul Blart: Mall Cop). Each year, Romano and James choose a cause to support that is close to their hearts. Funds raised by this year’s golf tournament will support the research and treating of such debilitating vision diseases as retinitis pigmentosa and macular degeneration. “My scientific team and I greatly appreciate Ray and Kevin for choosing The Scripps Research Institute as the beneficiary of this year’s golf tournament. The Ray Romano & Kevin James Celebrity Golf Classic’s contribution will be dedicated to research on stem cells for RP and MD patients,” said Scripps Research Professor Martin Friedlander, M.D./Ph.D., who is also a practicing ophthalmologist at the Scripps Clinic. via The Ray Romano and Kevin James Celebrity Golf Classic to Benefit Advancement in Vision Research.